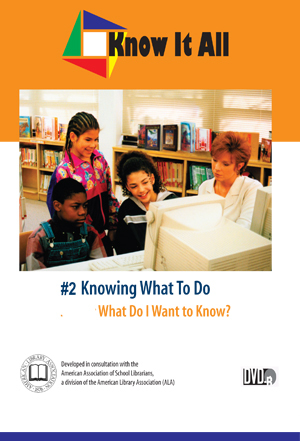 Knowing What to Do: What Do I Want to Know? Home > • Language Arts > Know It All > Knowing What to Do: What Do I Want to Know? Your students see how using a rubric can turn a ho-hum project into a knockout. Rights granted with purchase include: a) life of media audiovisual use, b) public performance, c) campus or building closed circuit and digital/video-on-demand transmission. The episodes may also be licensed for broadcast or cablecast. Contact slenzen@shopdei.com for details.